Help protect your Backup Plus Slim while keeping the drive and cable organized. The Seagate® Backup Plus Slim portable drive simplifies backup for consumers who want to help protect their entire digital life locally, in the cloud, from mobile devices or from social networks. Help protect and add some extra grip for your drive with the Backup Plus Slim case. 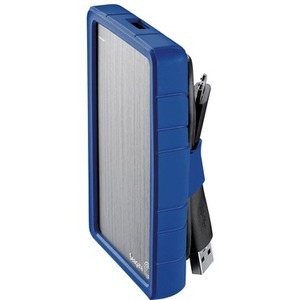 In addition, the case has a slot that allows the drive and cable to be neatly organized while on-the-go.